The processor is the heart of every gaming PC. Of course, there are other critical considerations like the graphics card, motherboard, storage, and systems memory. But the CPU is the most essential to creating the best virtual environment. Your gaming peripherals can cost upwards of thousands of dollars. 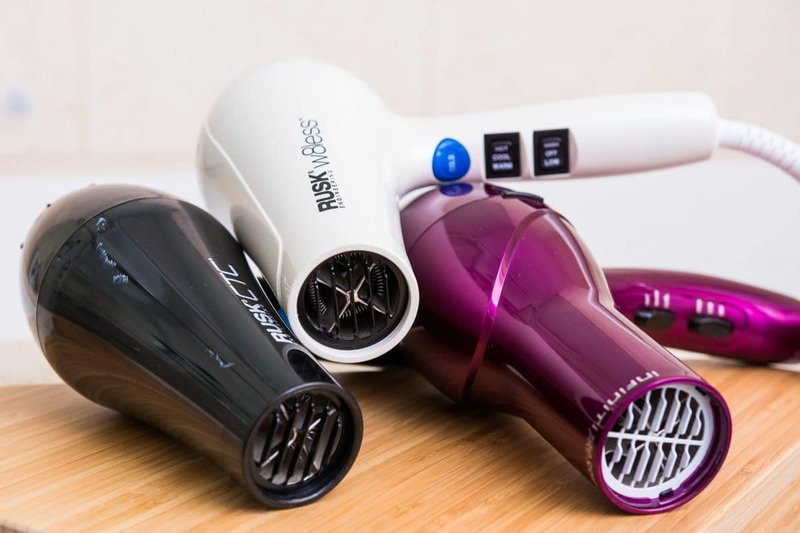 But this doesn’t mean going without the most ideal if you are on a budget. Here’s our list of the Best Cheap CPU for Gaming. How important is a CPU for gaming? This is a vital question if you are looking to upgrade your gaming rig. But if you are building one, it is virtually inconsequential. AMD has a reputation for producing cheap CPUs while Intel has always had users enduring their high prices to get the highest performance. But after AMD’s recent shakeups, we have seen Intel becoming more consumer-focused and bringing us CPUs we can actually afford. Now you can appreciate the price per performance features brought about by these two brands. You just have to balance the features, cost, and performance and get the most out of a cheap CPU for gaming. Another critical question is about the number of cores. Gaming CPUs come with four or more cores. When it comes to cheap CPUs quad cores are the most ideal and the performance does not beat more cores as long as gaming is concerned. In fact, it is said that CPUs with more cores beat those with four cores by only a split hair. Remember that the number of cores is related to the number of threads the computer can handle. Games were initially designed to play using one core CPUs, but with technology advancements, games can now take advantage of more cores and give you more speed. What clock speed is ideal for gaming? The GPU is more important, but when paired with higher clock speeds, you can have a seamless gaming performance. Some CPUs will only indicate one clock speed, check if its base or turbo. As such, you should aim at looking at the turbo speed since your computer will adjust its speed according to the workload of the game. Why we like it: It is the cheapest quad-core offer by Intel almost similar to Intel’s i5-7400 but with more clock speed. This means it is as capable as Gaming CPUs in the i5 category. For a modest gaming experience, Intel Core i3-8100 Desktop Processor is more than capable. This processor sports four cores and four threads. Unlike the previous generations, this CPU is an eighth generation model that has Intel Hyper-Threading technology. It is based on Coffee Lake Architecture which runs with speeds of up to 3.6GHz. This makes it easy to extend beyond basic gaming as it lets you share your scores and challenge other gaming champs on a whole new level. With more cores, this calls for more speeds, but it also means this CPU will use more power. 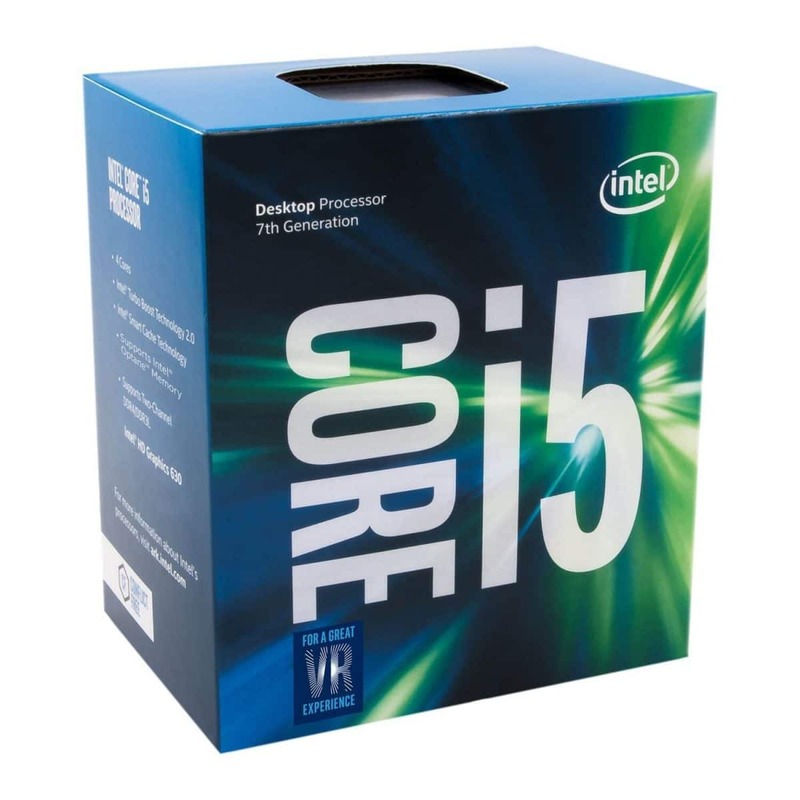 It is compatible with motherboards that have an Intel 300 series chipset and LGA 1151 sockets. It runs at lower base frequencies because of the extra cores. But it does not benefit from turbo speeds which means you will get a static frequency for gaming. Each of the cores features 1.5MB cache which sums up to 6MB of L3 across the die. It is useful if you are using to build your gaming rig and not for upgrading from a CPU such as the 7700K. You have an advantage with this CPU owing to the use of Intel UHD Graphics Chipset 630. It gives you outputs of up to 4K visuals which is incredible when creating a virtual reality environment. Intel Core i3-8100 can support memory of up to 64GB of DDR4 RAM. This is in single or dual channel set-ups. It also uses Intel Optane technology which helps it optimize HDD performance. When you are looking to fulfill the best performance on your PC, Intel Core i3-8100 will give you that performance on a budget. It is built with more cores, more speed, and better visuals. Why we like it: This processor is entirely multiplier unlocked with more potential for higher speeds and gaming power. It packs Zen architecture but comes at a much lower price. 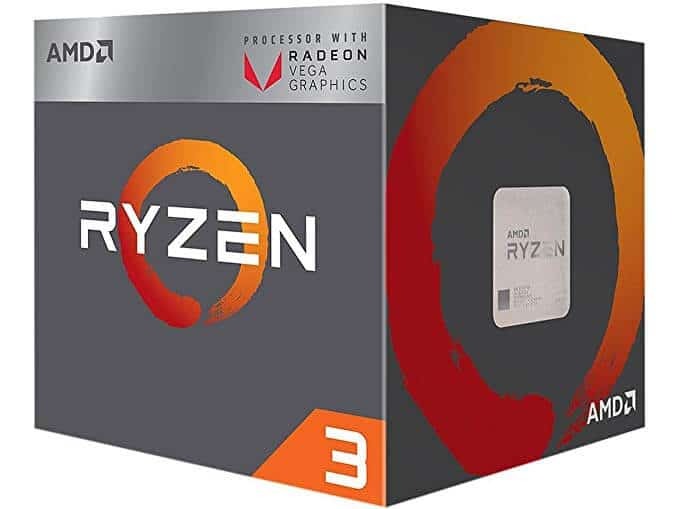 The Ryzen 3 1200 packs both Zen architecture and AMD SenseMi technology. It seeks to combine a high throughput and lower-power design in the CPU making it ready for any gaming CPU or supercomputer. This gives it a remarkable boost in the number of instructions for every clock cycle. This is alongside the unlocked precision boost which allows it to overclock dynamically. You can demand as much as you’d like from this CPU without overheating its components. This CPU uses AMD’s AM4 platform. It supports dual channel memory. You may need a new cooler, but we feel the Wraith Stealth Cooler will do a great job. It improves gaming performance without bringing up the problems of overheating. The AMD Ryzen 3 2200G is appealing to every entry-level gamer. It affords you the convenience of not spending thousands of dollars when building your first gaming rig. It will deliver smooth and fluid performance to most games featuring a 1280pixel resolution. Why we like it: Its high core and thread counts make it suitable for the most performance-intensive games. It can crank speeds to up to 3.7GHz better than the other Ryzen 3 1200. AMD continues to make a name for itself by introducing cheap but highly performing CPUs. 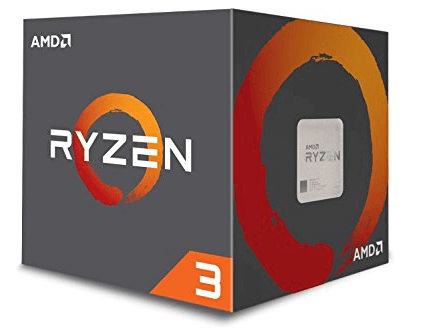 The Ryzen 3 1300X comes with four cores, but you need not break the bank to acquire it. You will be getting strong performance owing to the use of Zen architecture. This model scales demanding gaming, and you will also get to use it for graphic designs and other complicated 3D tasks. As they say, it is ready for virtual reality meaning you will not have to go changing and upgrading it even if AMD produces more CPUs in the future. It is configured in a 2+2 design. AMD has managed to disable a pair of the cores and also simultaneous multi-threading. With four cores, this CP has excellent speed performance over all the cores. But individual core performance is a little limited for use with games that rely solely on the performance of one core. As such, you will want to pair this CPU with more advanced games. Why we like it: This CPU has integrated great graphics that are excellent for gaming purposes. It is an excellent pick if you do not have a dedicated GPU. You may not be able to play games at 4K, but you will love the graphics provided by AMD Ryzen 3 2200G. This CPU is also powered by AMD’s latest Zen architecture which has continued to push the competition at Intel Core X family. It is surprisingly fast and with better-integrated graphics. By combining the lasted GPU architecture Vega and the latest CPU technology, AMD manages to bring you its 14nm Raven Ridge “Silicon.” This is because Vega utilizes AMD’s 6th generation graphics which are much easier to integrate into their chips including the Ryzen 3 2200G. Why we like it: It is a CPU with remarkable media processing capabilities. It has an unlocked multiplier for faster and simplified overclocking. The Intel Core i7-2600 delivers excellent performance for playing 3D games. It uses four cores and eight threads to satisfy most gamers. If you are a pro gamer looking to build a sophisticated rig, you will probably want to look at more expensive CPUs, but this one works satisfactorily well for most needs. It comes with a base clock of 3.4GHz, but it can go as high as 3.8GHz on turbo boost. The CPU dynamically shares its 8MB L3 cache to each core basing on the current workload. You are about to have more speeds and reduced latency when playing involving games with friends. When it comes to multi-tasking, this processor features Intel’s Hyper-Threading to allow the cores to work on multiple tasks at the same time. This means you can play games involving more players as the computer will not hang or delay its executions. It gives you a smooth time throughout every game. For regular graphics, this processor gives you built-in visuals for the ultimate 3D editing experience. For virtual technology, you will not be disappointed as it can create several virtual environments on the same hardware. This gives you more manageability with limited downtime; thus you can play day-in day-out using the same CPU. Intel Core i7-2600 delivers fast performance, multitasking capabilities, and outstanding visuals. It is your go-to for more clock speeds and smooth gaming experience. Why we like it: It has a fascinating gaming performance when you pair it with a dedicated GPU. The best gaming experience can be easily achieved with more threads and more cores. If you are a gaming enthusiast, you are definitely getting more bang for your buck at less than $200. This CPU is built on eighth-generation core chips. 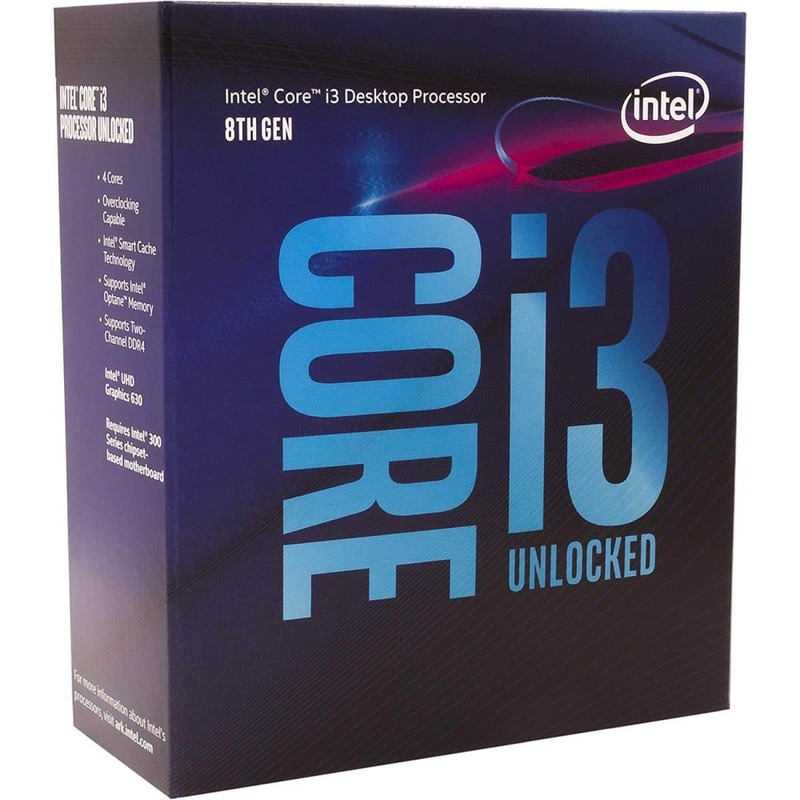 It is similar to Intel core sixth generation which is unlocked for overclocking. This CPU also follows suit by being built around 14nm manufacturing process. 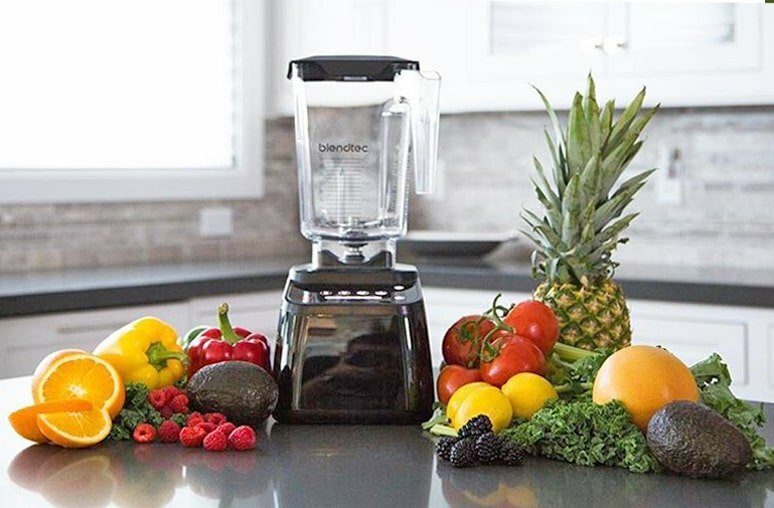 It has ten chips which further refines the manufacturing process. Because of it, this CPU can crank up its clock speeds to up to 4.7GHz turbo frequency. Even with six cores, this CPU manages to put its TDP measurement at only 65W. This CPU has better performance than the i7-7700K in most of the games. It can, therefore, be paired with the latest GPU without becoming its bottleneck. This CPU however, lacks hyper-threading technology. This means it cannot handle two threads at one time. But it can boost its performance by 50-percent. This CPU features incredible Virtual Reality. 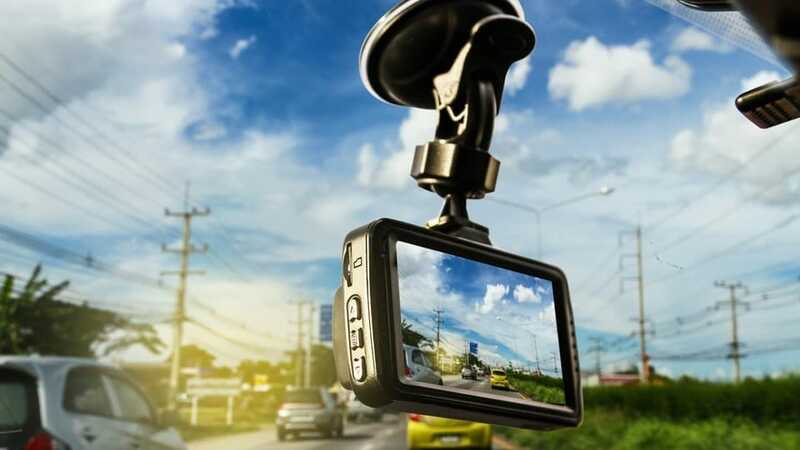 It has the ideal combination of graphics, display, and connectivity, and audio to give you a balanced performance to achieve the best virtual reality. You will also be able to stream in 4K ultra HD meaning your games will be more detailed and much more engaging. 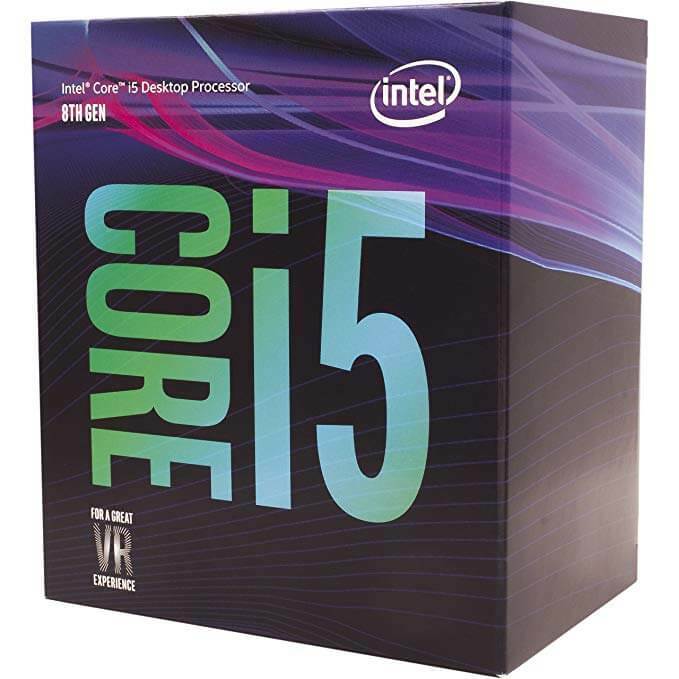 For the most fulfilling experience, while playing the latest games, you are going to like it with Intel’s Core i5-8400. It is not only unlocked for overclocking, but it also gives you 50 percent more cores. Why we like it: This unlocked CPU can overclock to 4.7GHz. It is incredibly fast when compared to other high-priced CPUs by Intel. 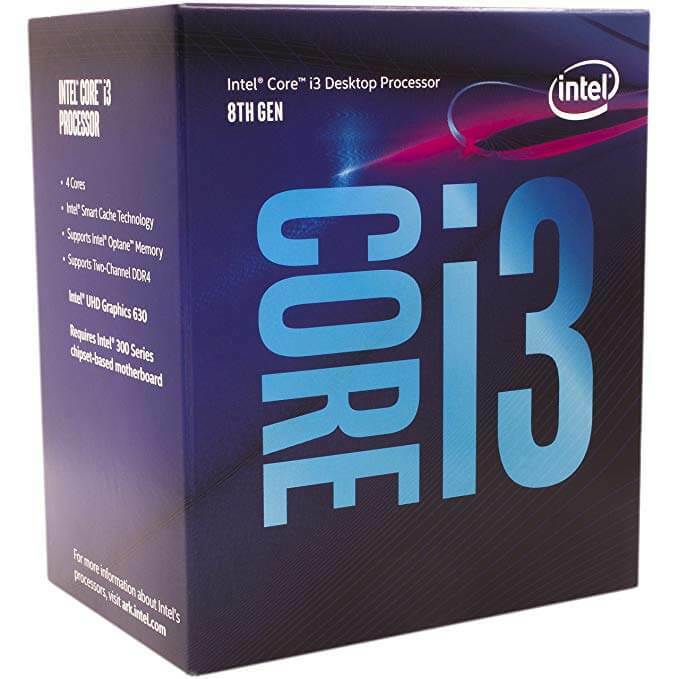 The Intel Core i3-8350K features four physical cores without hyperthreading. This makes it more applicable to more tasks that previous i3 CPUs have had a problem with. It opens up possibilities for intuitive gameplay where you can stream, record, edit, and post all your games. This way, you will have a memorable gaming experience even if your rig did not break a bank. You will not need to depend on the turbo speed for overclocking. This CPU can get you up to 4.7GHz overclocking speed. It is incredible how easy it is to integrate it with the latest GPUs and get the fastest speeds and visual quality from this model. As the latest chip in the 14nm silicon, it optimizes on performance including newer graphics technology that can decode 4K videos. It supports hyper-threading technology which can provide you with up to 12-way multitasking support. It gives you a boost of performance in all types of gaming and even 4K video creation and sharing. This processor allows you to tweak the performance to get the best out of gaming and Virtual Reality technologies. It is designed to work with motherboards based on Intel’s 300 Series Chipsets. It can even support Optane memory technology that is based on non-volatile memory chips. This means it can store data even when the system turns off. It, therefore, enjoys improved energy efficiency and boot times. Intel Core i3-8350K enables a superior gaming experience. From the fact that it is unlocked to allow more speeds to featuring Intel Optane Memory. It is not your average gaming CPU on a budget. Why we like it: Provides reliable performance for multi-threading tasks thanks to the 6-quad configuration. It is also an energy-efficient model in comparison to other CPUs with lesser capability. With the help of AMD’s Zen architecture, the Ryzen 5 1600 comes as an incredible addition to AMD’s superior CPUs. This particular model features six cores and universally unlocked ratio multipliers. It lies in the 1080p gaming performance which is excellent considering that many games are featured in this category. This CPU is built to deliver high frame rates as it can tackle up to 40 frames per second on average. It can provide up to 60 frames per second when tested with 1080p games. It is not on the high-end of CPUs, but you cannot say it underperforms either. 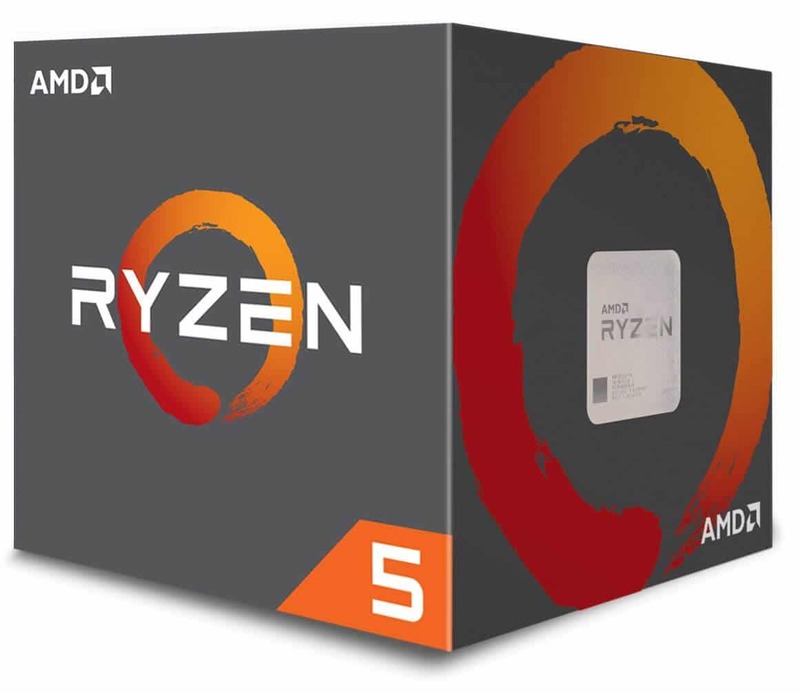 The Ryzen 5 1600 comes with a variable clock speed of between 3.6GHz that can be boosted to 4GHz. We like that it can go higher when you pair it with a more capable cooler than the Wraith Spire. Otherwise, you don’t have to worry about what the latest game can do to its temperature as it can control itself not to overheat. Although AMD does not indicate that the Ryzen 5 1600 supports XFR, we noted that it can dramatically adjust its clock rate above the precision Boost rating. This makes it applicable for even more demanding games when paired with the most sophisticated GPU. This chip is unlocked for overclocking. It has simultaneous multi-threading technology to give you a more immersed gaming experience. With it being able to support 60fps on 1080p games, we can tell you are up to enjoyable and fulfilling gaming. Why we like it: It has much more improved graphics with super high speed for overall improved performance. The Intel Core i7-3770 Quad-Core processor is a pretty decent model for gaming. It can handle games at an incredible fps to get you a good game with great resolution. It features four cores and eight threads meaning it can handle multitasking jobs. It comes with a remarkable HD 4000 integrated graphics that you can work with if you are not looking to add a dedicated GPU. This processor features a clock speed of 3.4GHz, and it can turbo boost up to 3.9GHz. It is similar to the i7-3770K except for the unlocked multiplier feature on the i7-3770K. We expect that its 3D transistors will take it into the future as it remains controlled in terms of overclocking and thermal needs. 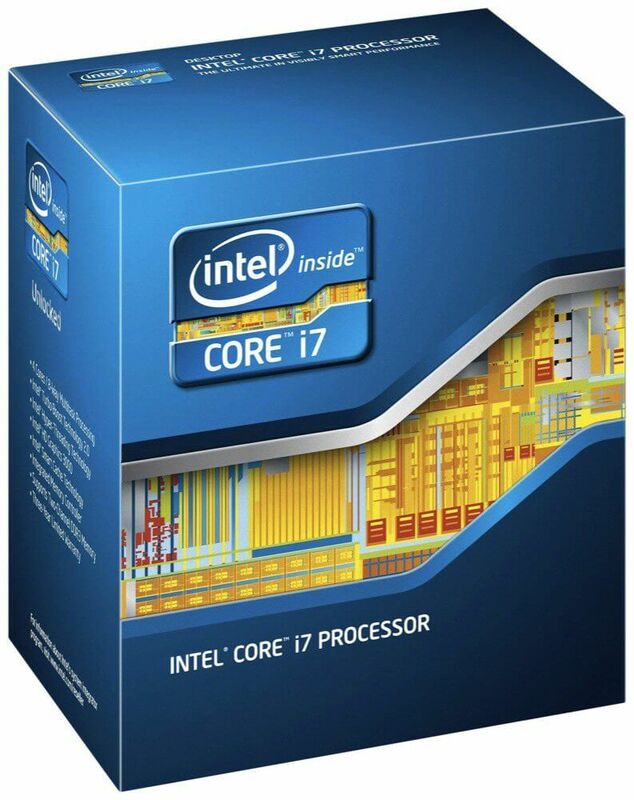 The Intel Core i7 3770 plays right in the hands of gamers. This is because it goes to show that with a top-end GPU you can get the most performance out this CPU instead of completely upgrading to a new processor for more speeds and better resolution. This CPU integrates the three Smart Technologies which include a rapid start for decreased boot times, Smart Response for increased performance through frequent caching, and Smart Connect for automatic updating apps, emails, and social networking data. It has support for an integrated USB 3.0, lots of wireless accessibility methods. This is an all-around CPU that is great for both gaming and extensive computer needs. It benefits from advanced technologies by being taking advantage of Intel’s latest graphics. It gives you high clocking speeds which makes it applicable to all real-world situations as well as in gaming. Why we like it: This CPU is ready for real-life gaming activity. It scores high on every aspect that makes it a dependable CPU. The Intel Core i5-7500 is aimed at newcomers looking to build a gaming rig from scratch. It offers significant features for new gaming PC better than it does for older rigs that need upgrading. It has a 3.4GHz clock speed that can turbo up to 3.8GHz. It is not unlocked for more overclocking hence it may not be suitable for the most advanced and sophisticated games that need superior overclocking. With four cores and four threads with a 6MB L3 cache, we see only 200MHz boost to the speeds when compared to CPUs of the previous generation. It also has a TDP rating of 65W which sounds good because it means you will not need to buy an extra cooler. This is owing to the 14nm manufacturing process as it allows running of higher frequencies without increasing its core voltage. This CPU uses Intel’s Turbo 2.0 technology. It is clear indication the speeds it can achieve are crucial for gaming. It integrates Intel’s HD graphics with a base frequency of 350MHz that can go up to 1GHz. It also offers DirectX 12 support, Intel Enhanced Speedstep, and virtualization is activated. It can be integrated with modern gaming PCs without being the bottleneck. That being said, Intel Core i5-7500 manages to produce 26.5fps at 1080p with the most demanding games so you can use with regular games that won’t bring this CPU to the breaking point. If you are building a gaming PC from the ground up, this model is probably the best you can get to get you started. Intel Core i5-75 comes with significant video upgrades which make it a good candidate for 4K video workloads. It can run many programs simultaneously, thanks to the four cores. It scores well with regular games, and it manages to put out an incredible resolution with the latest games. After deciding what you want to play, the next step will be picking the ideal gaming processor to play your games in stunning visuals. But the market does not make it easy when working on a budget. With these tips, you will no longer fear to own a budget CPU for gaming. The process of overclocking process has been used by gamers for the last two decades to improve gaming performance. A CPU with gaming capabilities has better clocking and turbo speed to allow for increased speeds without overheating the computer dangerously. Since these CPUs can support serious overclocking, they also sport upgraded coolers to prevent the dangers caused by overheating such as crashing and ruining the components in the CPU. How does overclocking affect gaming performance? Find out here. As the place where all computation takes place, a gaming CPU provides real possibilities of using the computer for the latest games. It also offers advanced visuals such as 4K ultra HD to allow playing of gaming with the best graphics. Not only that, these CPUs are built to perform advanced editing functions such as 3D video editing. This means you don’t have to buy two Computers and different CPUs for different purposes that need sophisticated CPU technology. The CPU ties every gaming peripheral together. While GPU is involved in the visual quality of the game, it cannot access information stored in the computer’s memory directly. With the help of the CPU, the GPU is now able to draw instructions on the screen. A game’s genre dictates how well the CPU calculates a character’s position, how fast the game loads, etc. Some of the games require multi-threading (use more cores to boost performance) while others just need regular single-threading. A game like ARMA 3 needs single-threading performance. This means it can only utilize one core to the maximum extent. When using many cores with this game, you will not see any improved performance. But when playing a game like Metro: Last Light Redux version, your CPU should be able to deliver multi-threaded performance. This allows you to maintain good frame rates no matter how chaotic the game is. Some CPUs are good at multi-threading while others are only built to single-thread. This affects things like breakable environments, ballistic simulations, armor penetration, and many others. Read more on the importance of a CPU for gaming. As you can see, a good CPU makes an integral part of your gaming PC. Before you buy your CPU, you will want to look at the various sockets available for the CPU you have in mind. Some CPUs require expensive and dedicated CPUs. For AMD CPUs for gaming, you will mostly need an AM3+ or AM4 socket. Intel, on the other hand, has a line of sockets and they keep changing. Most gaming CPUs in the under $100 to $200 price range usually require LGA2011 sockets. The socket will impact the speeds. If you are looking to upgrade it’s best to investigate what is available before making a decision. This is usually a forgotten factor, but we are going to look at it as it makes a significant difference in your CPU. It is useful to the speed of your computer. It is built into the CPU to increase the rates. Cache memory is known as the SRAM (Static Read Aleatory Memory), and it does not need to be refreshed continuously like the DRAM memory. The higher the cache memory, the better the overall performance of your gaming CPU. Powerful processors demand more power. This affects how much heat is generated by that particular CPU. A high consumption increase in temperature which is indicated on the CPU. This further affects how loud the CPU is as it meets the cooling demands. The maximum power generated by your CPU is indicated by the Thermal Design Power (TDP). Most gaming CPUs start at 65W and can go as high as 140W for CPUs built for supercomputers. A high TDP indicates high demand for cooling. Manufacturers are many at times faulted for not providing the most efficient cooling systems for gaming rigs. As such, it will be upon you to identify your CPUs cooling needs to prevent any damage to the CPUs components. If you are buying a CPU that you plan to upgrade eventually, it is essential that their sockets be easier to upgrade instead of buying a CPU today whose sockets are not bound to change for a couple of generations. We are looking at cheap CPUs for gaming. But there are differences in upgrades and performance even with a couple of dollars. Cheap CPUs are associated with limitations. The vital thing to keep in mind is the type of gaming you will be involved in. If you are playing at the basic level, the cheapest model will serve you right. But for the latest games that push CPUs to the limit, it may not be a good idea to pick the cheapest model and expect incredible gaming performance. With so many Cheap Gaming CPUs available it can feel like searching through a maze for the best. Our list provides the most remarkable models that will give you a real chance at gaming with a budget processor. 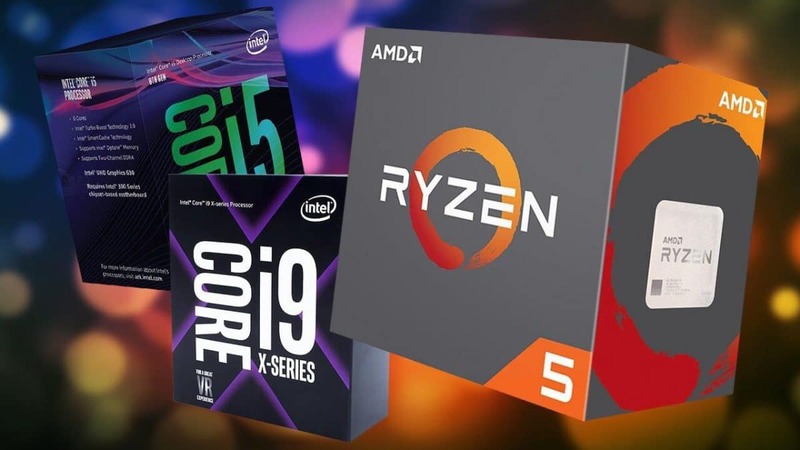 Whether you are looking forward to upgrading or building a gaming rig from scratch, we are sure you can find your ideal gaming CPU from our top choices. Don’t let a high price keep you from enjoying gaming. These CPUs will meet the demands!